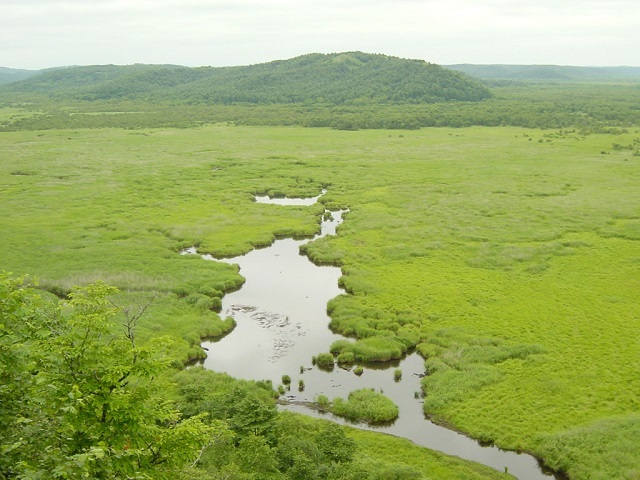 The Kushiro Marshland is in the north of Kushiro City in the of East Hokkaido and was appointed in the list of Ramsar Convention. 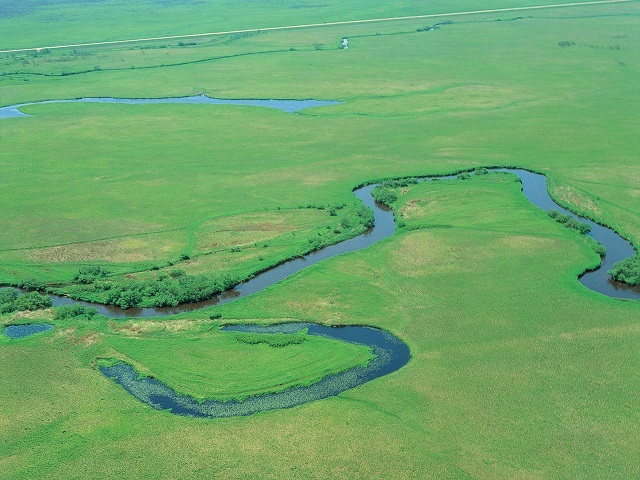 It is super views that the Kushiro River meanders through the marsh. The characteristic is that Japanese cranes inhabit, which were once in danger of extinction. 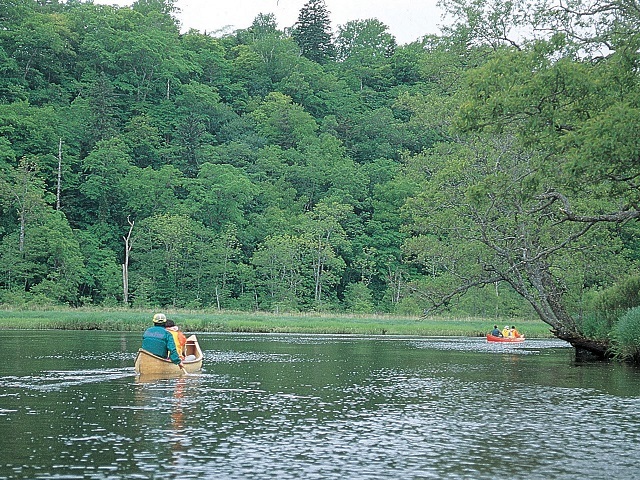 The means of viewing the marshland is from some observatories .Canoeing is also fun. 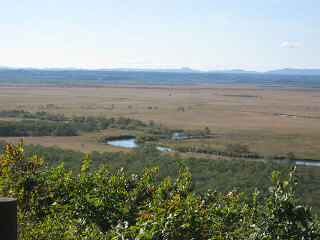 It is the observation center to see the Japanese cranes. Daytime and Overnight express buses run from JR Sapporo Sta. to JR Kushiro Sta. for 6 hours with 9 buses per day. 6 hours from JR Sapporo Sta., 2 hours 40 minutes from JR Abasihri Sta. 1 hour 40 minutes from Tokyo Haneda Airport with 6 flights per day. 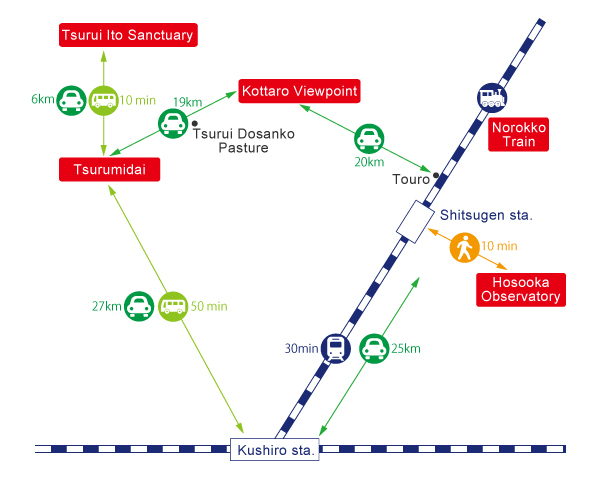 1 hour 45 minutes from the New Chitose Airport with 3 flights per day. 1 hour 45 minutes from Sapporo Okadama with 4 flights per day. Besides these, there are seasonal flights from Nagoya and Osaka. 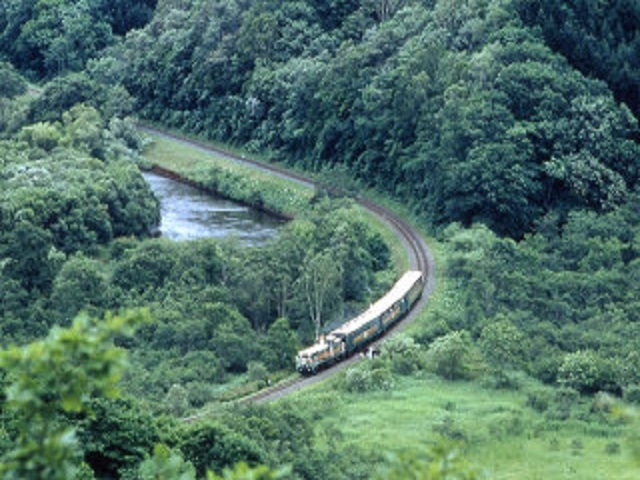 in summer, the service of combination of Kushiro Marshland and Train Norokko is provided. It goes around the Marshland Observatory and the Crane Park from the JR Kushiro Sta. The Japanese guide only is provided. From July 1 to August 31. 4 hours 50 minutes per service. 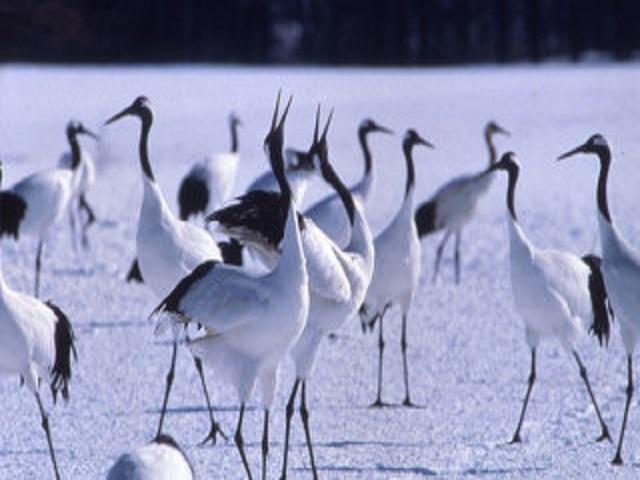 In winter, regular buses go around the Kushiro Marshland and the Crane Park. It is a service with lunch. The Japanese guide only is provided. 7 hours 10 minutes per service.